Don't Miss the Opportunity to own your piece of paradise. This End Unit condominium has been nicely updated and tastefully decorated. Kitchen featuring quartz counter-tops, granite composite sink, newer stainless steel appliances, and updated lighting. Bedrooms and Living area have new carpet all leading out to the large screened in lanai with vinyl sliding doors to offer warmth on cool morning and additional privacy. AC unit new in 2017. The laundry is also located inside the unit and plumbing available for a mud sink if desired. Located downstairs is large 2 car carport with enclosed 13 x 14 storage room which also has washer/dryer hookup available. 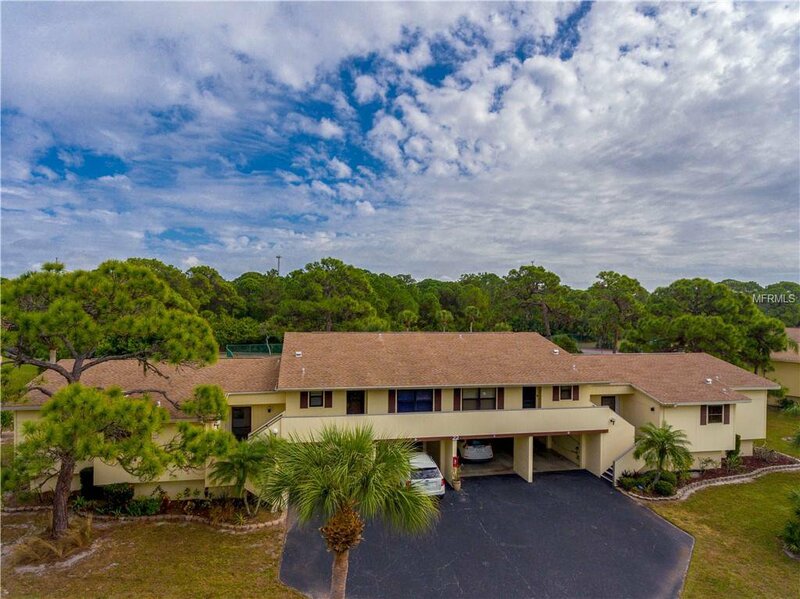 Community offers a heated in-ground swimming pool, recreation center, tennis courts, and shuffleboard. Parking is also available for RV, boat and trailer. Just minutes from Manasota Key and Englewood Beach with amazing sunsets, shelling, sharks teeth, wildlife, kayaking and yoga. This condominium located in the gorgeous maturely landscaped community of Forest Park is Awaiting You!!!! Move Right In! Make Your Appointment Today!! Listing courtesy of KELLER WILLIAMS REALTY GOLD. Selling Office: TALL PINES REALTY.